In 2008, the organization Zuiderduin Masters adds a ladies tournament to its mens tournament. Eight ladies determine via a knockout tournament who is the best. Because the ladies recently lost the World Darts Trophy from the calendar, this gesture of the organization is very welcome. In 2011 the format changes; six ladies now play in two groups of three and the two numbers one play each other in the final. In 2015, the tournament obtains a new sponsor and changes its name to Finder Darts Masters. 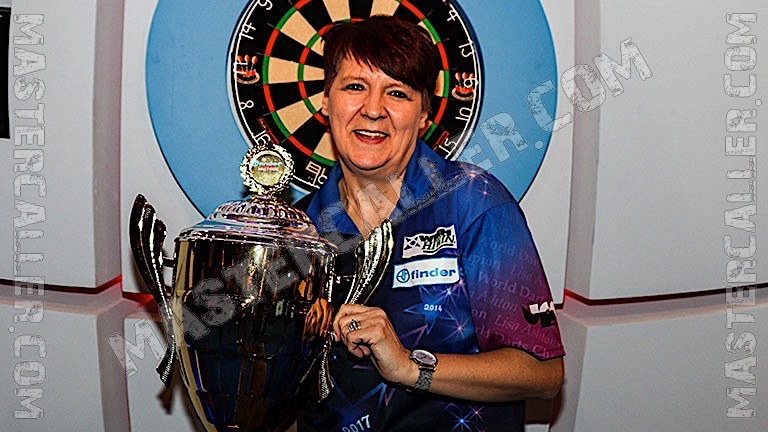 Lisa Ashton wins her first major TV tournament when she wins the first edition. In 2018, Ashton wins for a second time.Only Anastasia Dobromyslova has lifted the Zuiderduin trophy more times. She wins it on three occasions in 2012, 2014 and 2016. Aileen de Graaf has been in as more finals (6) then Dobromyslova but has only won twice.